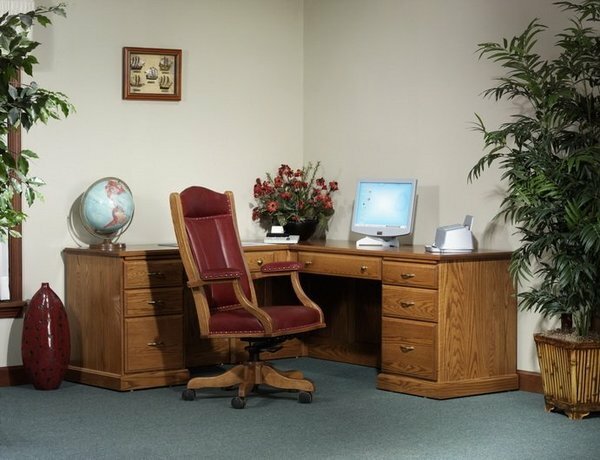 Our Amish handcrafted L shaped desk will give you plenty of room to work as well as meet with clients. This desk is the perfect choice for corners. This L desk comes with dovetailed drawers, full extension drawer slides, outlet plug, and lots of storage space. Choose from a variety of wood and finish options to complete the look of this Amish desk. Left Return Width: 70 ¾"